Did you install deadlocks the minute you moved to this home? Are you planning deadbolt installation now? Such locks are an excellent choice for higher security. It's hardly coincidental that most homes nationwide prefer to get deadbolts for their main doors. They are strong, reliable and if you make the right choices your life will be more secure and still convenient. We don't make choices only when we buy new security door locks. We are actually called to make choices every day and when it comes to security, it might take more than two minutes to take a decision. There is no doubt that deadbolts are the number one option for higher security, but you must decide which ones you want and must be prepared to take care of them. Not that other locking systems won't require lock repair, but when it comes to main entrance locks you must take extra measures. Let's pause a second to think about the way deadbolts work. What they actually do is sticking their tongue out. With the bolt inserted in the strike plate all the way, the door is secure. 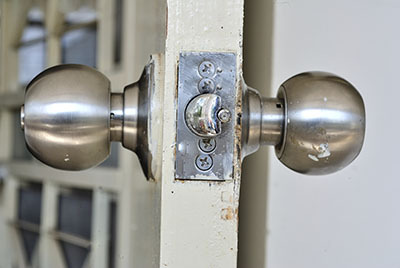 The bolt keeps intruders from using cards to push the latch and open the door and if they are resistant enough, they won't move when someone tries to kick them down. If the bolt is damaged, loose and is not inserted in the strike plate all the way, your door locks will fail their mission to protect you. That's why lock maintenance and certainly repairs are both necessary. The strike plate must be aligned with the bolt. If it's not, check the strike plate and its screws, the hinges of the door and make sure the cylinder is not loose. 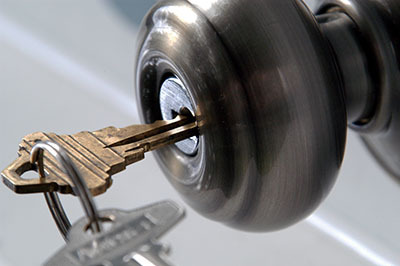 Another way to ensure deadbolt security is through its relation with the key. There are clearly differentiations among home locks. The most significant one has to do with the way they lock from inside. The external part of the door always locks with the key. The internal part will either lock with a key too (double cylinder) or will have a thumbturn (single cylinder). The most popular ones (and often obliged by law) are the latter ones for the following reason: a family won't be trapped inside the house in case of a fire. Though, when the door is locked at both sides with the key, the security is higher. You will just need to keep the key on the lock in case of an emergency. In a different case, you can get a lockable thumb turn which will lock with the key but if the key is not use, it will work like regular single cylinder locks. This might be the best solution.